In cosmic terms a supernova is basically the explosion of a star. They are extremely luminous, with a burst of light that can briefly outshine an entire galaxy. In musical terms that was Mike Bloomfield. You can read the rest here, but you can tell from that quick glimpse that Mike Bloomfield was a beautiful soul. And his music and playing remain a window into his soul. I remember very clearly the first time I consciously heard Mike Bloomfield (I’d heard him on Dylan’s Highway 61 Revisited without realizing it.) At the time the Cream’s “Wheels of Fire” and the Beatles “White Album” were the rage. The father of a neighbor worked at a radio station and he brought home a couple of promotional LP’s that the record companies sent out. His kid didn’t like them and gave them to me. 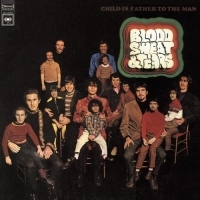 The other turned out to be by Al Kooper’s (Blood Sweat & Tears), the person who really put Mike Bloomfield on the map. In retrospect a lot, but not all, of the music we were listening to as teenagers back in the 60’s was being made by amateur musicians – they were often very talented and creative, but generally not seasoned professionals. The Electric Flag and Blood Sweat & Tears exposed me to something different, these guys were professionals. Don’t forget, Randy Brecker was in the original lineup. Al Kooper had great musical instincts and ideas, he was a whiz in the studio, and was adept at working the business side of the music industry. He also seemed to have a great ear – except when it came to his own voice. His voice is embarrassingly weak, which was one of the reasons he didn’t last with Blood, Sweat & Tears. But you’ve got to give it up to the guy, he was responsible for Super Session. 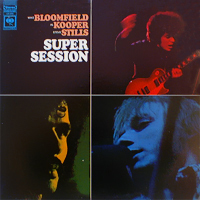 Super Session is what really introduced Mike Bloomfield to the world. It was one day in his life, and in a way indicative of Mike’s inability to cope with the pressure of recording and performing. Al Kooper wrote about Super Session in “Backstage Passes and Backstage Bastards” which you can read here. They recorded one side of the LP the first day and retired to a luxurious LA villa with a plan to finish it up the next day. Al Kooper awoke the next morning to find a note from Mike that he couldn’t sleep and had flown home. Mike would later sometimes rag on Super Sessions and also on the live version that followed (which he also baled on mid way through), but I agree with what Al Kooper wrote, “…while listening to one of the playbacks I noted that I had gotten the best recorded Bloomfield…” His delicate tone and unique climbing scales are as appealing today as they were forty plus years ago. A truly gifted musician. Like one of my other favorite guitarists, Duane Allman, Mike was left-handed and played guitar right-handed. And like Duane, there is no video available that really captured him at his best. Luckily, thanks to Bill Graham, both were captured on stage making magic, so at least we have the audio. I ask whether, as a bandleader, Dylan had ever played a set with the perfect guitarist. Dylan jumps at the opportunity to answer rather reminiscently. “The guy that I always miss, and I think he’d still be around if he stayed with me, actually, was Mike Bloomfield,” Dylan says of his collaborator on Highway 61 Revisited (who also famously played electric guitar with him at the Newport Folk Festival in 1965). “He could just flat-out play. He had so much soul. And he knew all the styles, and he could play them so incredibly well. He was an expert player and a real prodigy, too. Started playing early. If Mike was Superman, fame was his kryptonite, and in a sense for Mike, Super Session=fame. One could argue that he was truly an artist (an artist tortured by insomnia) who was willing to eschew fame and fortune in order to preserve his freedom. It’s clear Bob Dylan was eager to have him as a musical co-traveler, and he could have led a charmed life with Dylan. He could have stuck with Paul Butterfield, he could have milked the Electric Flag for many years, or he could have taken his partnership with Al Kooper to the bank. With his tone and skills he could have done pretty much anything he wanted. His end did come early and tragically, but he continued to make some great music even in his final days. 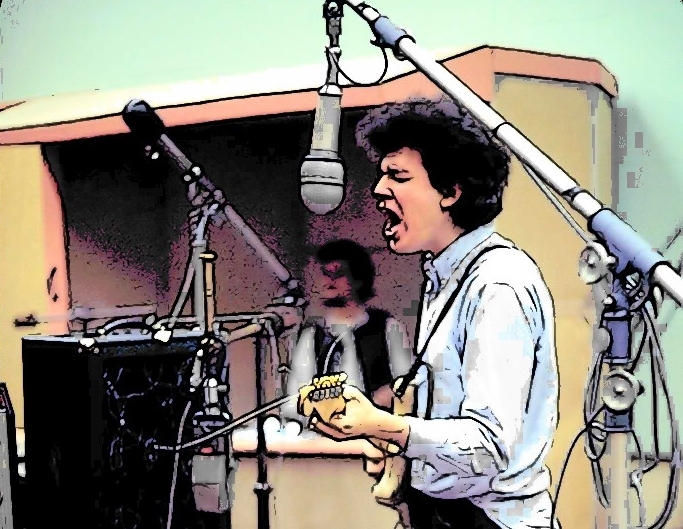 To that end, now here’s a real treat, David Dann has produced a four hour radio series devoted to the life of guitarist Mike Bloomfield. I considered myself a fairly serious fan and I was amazed my how much I learned from this program filled with interviews with Mike, his brother, friends, and fellow musicians. What especially touched me was the moving vocal he did just before his death. He was in a small club accompanying himself on piano singing, “Nobody Loves You When You’re Down and Out.” He didn’t sound like a rock star or the son of a millionaire, which he was, but someone who truly felt the blues in the depths of his being.